Some common reasons for dental extractions (tooth removal) include removal of wisdom teeth, badly fractured teeth, and tooth decay or to make room for orthodontist treatment. Quali-Dent will perform a thorough examination to your teeth and mouth (x-ray) before determining a tooth extraction is warranted. An X-Ray allows us to evaluate changes within the tooth as well as its root (s) and the bone that surrounds it. We will perform a clinical examination and an X-Ray because we want to formulate whether or not your tooth really needs to be extracted. During the pre-extraction, we would like for you to report any problems that you had with any previous tooth extraction such as, were there any bleeding problems? We would like also for you to identify all medical conditions you have, both treated and untreated, just to make sure nothing is overlooked. Here, at Quali-Dent, a tooth extraction can be simple or complex depending on the condition of the tooth. A surgical extraction is done when a tooth is not easily accessible because it hasn’t fully broken through or it has been broken under the gum line. An incision is made to access the tooth. The tooth then may be broken down for easy removal. In non-surgical cases, we will use dental forceps to remove the tooth. We have the experience to handle most extractions although some special situations may require referral to an oral surgeon. We understand most people are nervous about having this procedure done thus; we are prepared to actively listen to any of your concerns or fears prior to doing any work. In addition, profound anesthesia will be given to relieve any associated discomfort.. The obstacles associated with repairing some teeth that have extensive decay or else have broken or cracked in an extreme manner may make extraction the only choice. In other cases, the needed treatment’s cost, or else a question of its long-term success, may make extraction the most reasonable option. If the option of receiving needed root canal treatment is not possible, the only alternative is to extract the tooth. In those cases where periodontal disease (gum disease) has caused a significant amount of bone damage and the affected teeth have become excessively mobile, extraction may be the only option. Some teeth are extracted because they have a poor alignment or positioning. For example, some third molars (Wisdom Teeth) are extracted because they are a constant source of irritation to a person’s cheek (they either rub against it or causing the person to bite it). Some teeth are extracted because they just provide minimal benefit but place the person at substantial risk for experiencing dental problems. 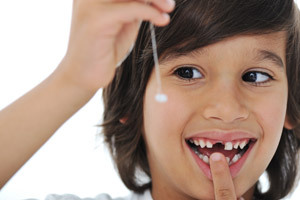 As an example, some third molars come into place but have no matching tooth to bite against. Since these teeth lie in a region of the mouth that is hard to clean, both it and its neighboring 2nd molar are at increased risk for developing tooth decay and/or periodontal disease. In this type of situation, it may make sense to have the tooth extracted. Impacted teeth are mal-positioned and usually non-functional. This combination of factors makes them common candidates for extraction. When orthodontic treatment is performed, the dentist may be limited by the amount of jaw space (length) they have to work with. If so, some strategically-located teeth may need to be sacrificed.